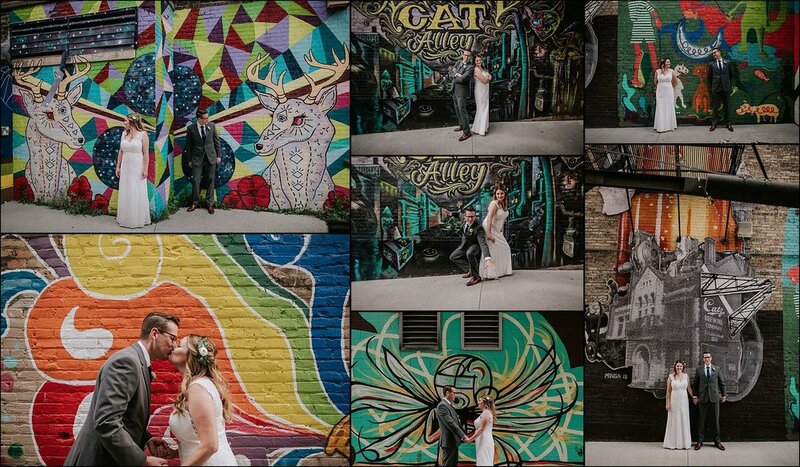 Amy + Aaron's Pizza Man wedding was there perfect blend of relaxed, fun and special. 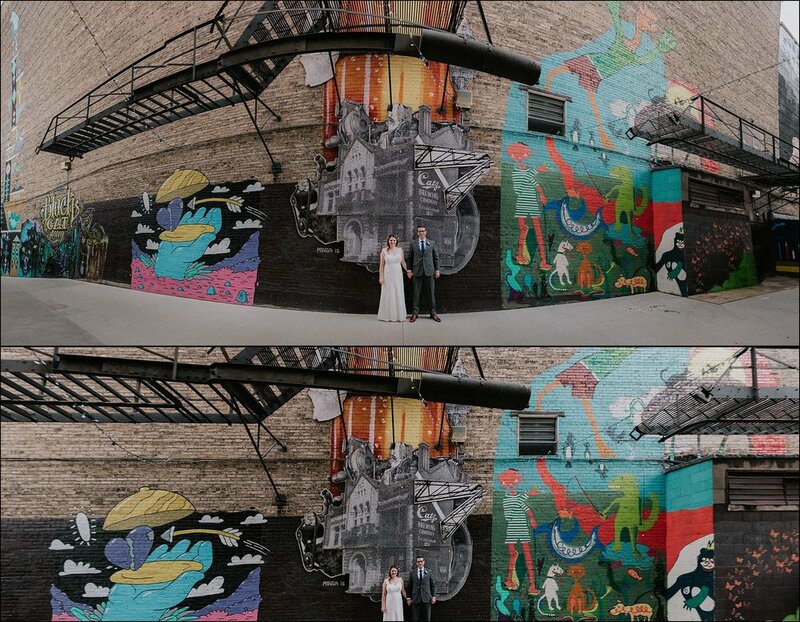 By the end of the day, we had hit up half of Milwaukee starting with their first look by Kashou’s Cat mural, to a wedding photo-shoot in Black Cat Alley, to revisiting their first date at Von Trier, on to the stone + rust wall in the new Zilber park (by the Pabst Brewery) and finally to Pizza Man on Downer. 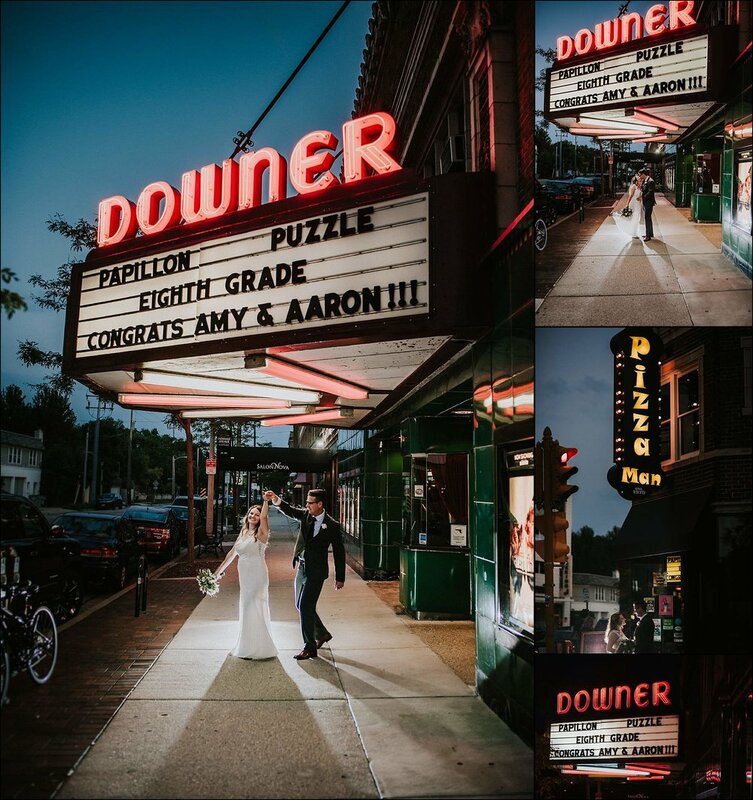 We even had time to dance the night away in front of the Downer Theater. Amy + Aaron are fabulous people and their day turned out perfect! P.S. 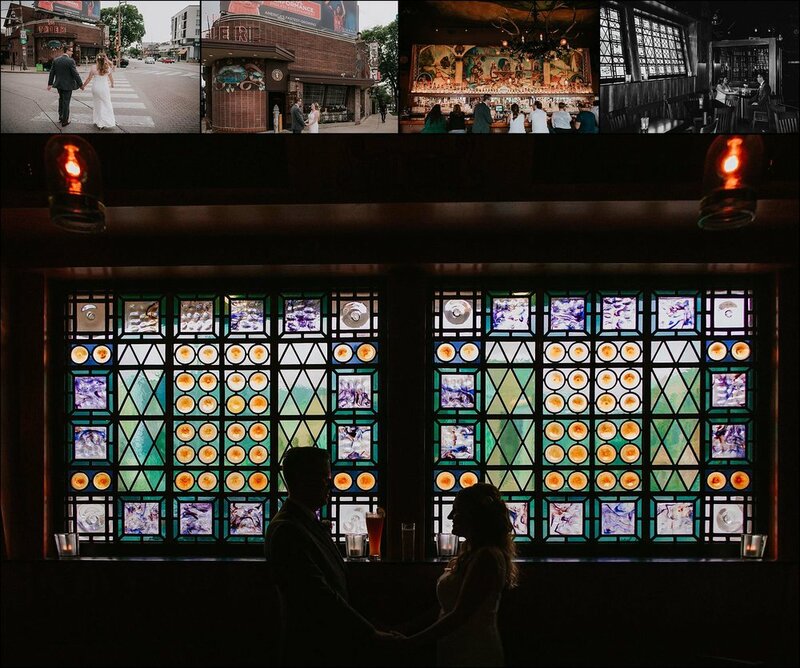 - if you’re looking for a beautiful, smaller venue for your wedding - Pizza Man is amazing!